Deere & Company, of Moline, Ill., is recalling more than 25,000 tractors and 500 transmissions sold as service parts in the U.S. and Canada. 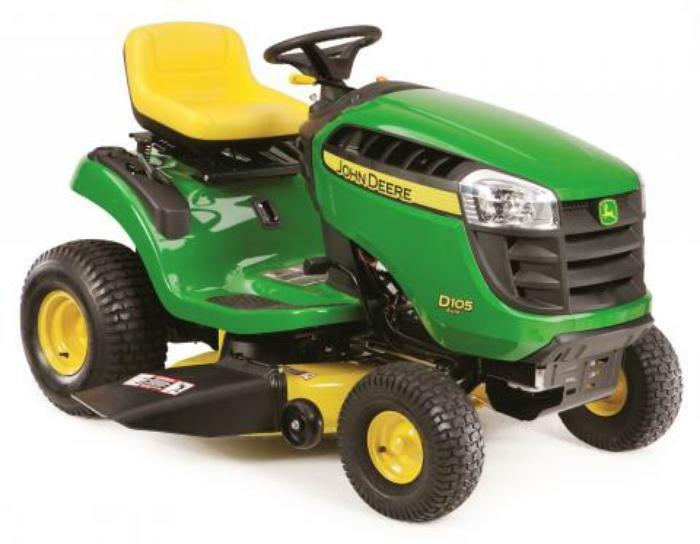 This recall involves John Deere model D105 lawn tractors with serial numbers beginning with 1GXD105, and service transmissions sold by John Deere authorized dealers for use in the D105 lawn tractor. John Deere and the model number are printed on the side of the engine hood. The serial number is located on the rear frame of the machine above the left rear tire. A complete list of serial numbers included in this recall is available at www.JohnDeere.com/D105-Transmission-Recall. If the lawn tractor serial number is not on the firm’s website and the transmission had been replaced from March 2016 through August 2017, consumers should contact their John Deere service dealer to check if the recall applies to their replacement service transmission. The tractors and transmissions, manufactured in the U.S., were sold at John Deere dealers, Home Depot and Lowe’s stores nationwide from February 2016, through July 2017, for about $1,500. The service transmissions were sold by John Deere authorized dealers from March 2016, through August 2017, for about $300. Consumers may contact Deere & Company at 800- 537-8233 from 8 a.m. to 6 p.m. (ET) Monday through Friday and Saturday from 9 a.m. to 3 p.m. (ET) or online at www.deere.com and click on Recalls under the Parts & Service drop-down menu for more information.